Confirmed: Orlando Cops Told to Stand Down -- Not to Pursue Shooter for "15-20 Minutes"
Orlando, FL — The testimony of a Belle Isle police officer was given this week allowing for the first public account of what happened inside the Pulse nightclub earlier this month. Officer Brandon Cornwell’s account of what happened could explain why the death toll was so high — they were told to stand down and not to pursue the shooter. According to Cornwell, he was one of the first seven officers on the scene. After hearing reports of shots fired, Cornwell was at the nightclub only 38 seconds later. Within only two minutes, Cornwell and approximately six other officers had broken a large window and entered the club. Cornwell said Mateen was nowhere to be seen. The club was dim — lit with a disco ball and colored lights — and quiet except for the sound of the shooter’s gunfire, screams, and cries for help, Cornwell said as reported by MSN. Cornwell recalled getting orders not to pursue the shooter, hold their position and wait for SWAT. It would take SWAT a long time to respond. Cornwell explained that he and the other officers obeyed the orders not to stop Mateen, and they held their position for “15 or 20 minutes — could’ve been longer” until the SWAT team arrived. Cornwall described hearing gunshots and screams for help as they sat there — waiting for SWAT. When asked if he felt the urge to disobey the order to stand down and try to stop Mateen, Cornwell said he had to follow orders. “I couldn’t tell you. I was following lieutenant’s command,” he said. 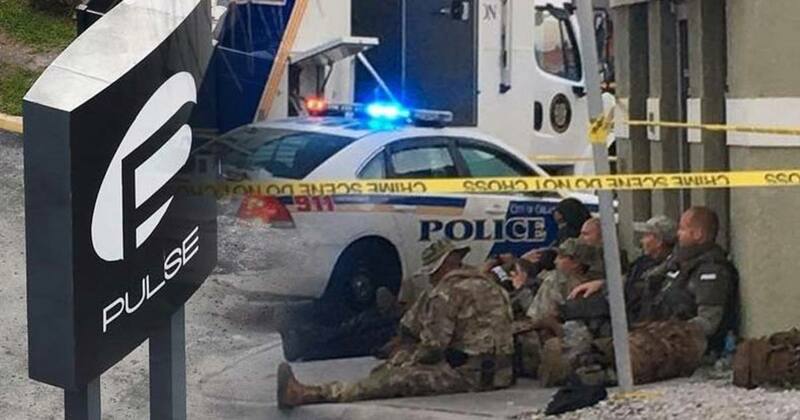 According to MSN, Cornwell and his fellow officers’ early standoff with the shooter — the second of three encounters between law enforcement and Mateen over more than three hours Sunday morning — is being scrutinized by the Florida Department of Law Enforcement’s Public Integrity Squad along with the other police encounters with the shooter. None of the officers involved have spoken publicly. A former cop and expert on active-shooter response told Politico that protocol developed after the shootings at Columbine High School in 1999 dictates that once two or more cops are on the scene, they should go after the shooter. “After the 1999 Columbine High School massacre, law enforcement realized active shooters have to be stopped quickly, not bargained with or given time. That realization gave rise to what’s called the Active Shooter response protocol, which basically says that once two police officers are on scene at an active shooting, they should go get the shooter,” Chris Grollneck told the news site. The information released thus far into police response in Orlando will lead to a jarring conclusion, Grollneck said. “It will tell you the leadership of the Orlando Police Department failed the people inside the club,” he said.